We specialise in the cellars, basement conversions, creation and waterproofing of structures below ground. It is not always necessary to have an existing basement as these can often be constructed below an existing timber floor with very little upheaval. Damp proofing problem in your home? 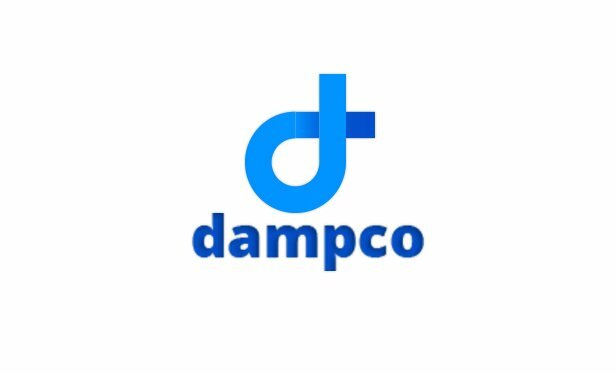 Dampco offer damp proofing, condensation, rising damp, cellar conversion, dry / wet rot, woodworm and basement conversions in Birmingham, Coventry, Leicester, Northampton, Stratford upon Avon, Leamington Spa, Warwick, Rugby, Market Harborough, Coalville, Hinckley, Kettering, Wellingborough, Warwick, Solihull, Nuneaton. We are one of the largest privately owned damp treatment and woodwork preservation companies in the United Kingdom. A family run business, we are proud to have three generations of the family in the company. With over 50 years in the industry we put our success down to our personal involvement with our customers and our comprehensive industry knowledge. Specialising in Damp Proofing, Basement & Cellar Conversion, Tanking, and treatment for Condensation, Rot, Wet Rot, Dry Rot, Woodworm, call us today for more information. Once initial diagnosis is complete we then ensure the correct specification for it control and eradication. Cellar / Basement Conversions are a great way to add more space to your property without changing the foot print. Dampco specialise in basement conversion and cellar conversions for all domestic properties, our reliable workforce is fully trained and can offer the complete package from design, preparation and all aspects of building work, right through to final decoration. Our reputation is our business, it has to be when you number banks, building societies, estate agents, architects and local authorities among your regular clients. But if you think that we are only interested in larger properties, contact us to sample the help and attention available to all. The parent company was involved from the outset in the drafting of the code of practice issued by the British Chemical Damp Course Association and was amongst the founder members of the association. Every visit is followed up with a comprehensive survey detailing any defects found and the recommended methods of treatment. This way you are left in no doubt as to what needs to be done to solve your problem. The survey is accompanied by a comprehensive quotation providing a clear, step-by-step plan of campaign stating the cost of each step involved. On your acceptance work is carried out by our own fully trained staff to every exacting standard. We can offer a back up manufacturers guarantee or a fully independent insurance guarantee through our membership of the Guarantee Protection Trust. The Guarantee Protection Trust is an independent limited company whose earnings are used solely for the provision of the protection scheme. Dampco were involved with the setting up of the British Damp Proofing Association who later merged with The British Wood Preserving Association. This organisation has recently become The Property Care Association (PCA) of which we are members. The PCA make regular inspections of our business to ensure that we maintain their high standards and conform to the relevant Codes of Practice. So, if you are looking for a damp proofing company in Birmingham, Coventry, Leicester, Northampton, Stratford upon Avon, Leamington Spa, Warwick, Rugby, Market Harborough, Coalville, Hinckley, Kettering, Wellingborough, Warwick, Solihull, Nuneaton just click or call us today.